About the Book: Daman Rathore and Muskaan Goel are not, what one would call, a match made in heaven. They are two dissimilar people fated together! One, a romantic, is in search of her Prince. The other, afraid to love, tries his best to resist being that Prince and fails. Accepting defeat, he chooses to become her Prince and protect his Princess always -but he fails again. When the Princess is in dire need of protection, the Prince, blinded by his fear to love, deserts her. When he realizes his folly it is too late, and the Princess is far out of his reach. To get her back and reclaim his love, the Prince has several intimidating challenges to face. From her determination to never go back to him, to his ego, his temper, and his utter cluelessness of what true love is. On this road to redemption, he has to fight Suvedh, the man completely smitten by the Princess. He has to keep himself away from the dusky socialite Amaira, who with her mysterious aura, captivating eyes, and a body that is every man’s sinful fantasy is willing to do anything to own the Prince. When the author was little, about 8, She wanted to be an author, but then making a living happened, and soon when she turned fifteen and did not even remember that once she had such an ambition. It came back to her after many, many years, on one of her cringe-inciting corporate winging session. She is not a pundit nor a philosophy major, nor English for that matter. The Author writes about life and love, the way she understands it, and then add a little mystery to it. 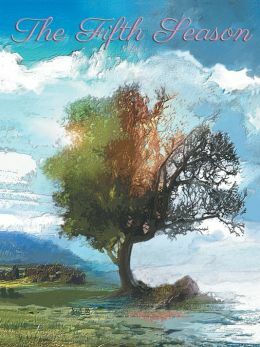 ‘The Fifth Season’… the title of the book and its cover design goes fabulously in a deep sync with its story line. The cover design metaphorically expresses the emotions from the story to be explored within the book. Daman Rathore, a boy who has build his life from rags to riches. He lost his parents to ill-health at the young age of 12 due to their weak financial state. Rises in life with the help of his uncle and from then his major priority becomes ‘money’. Stubborn and Arrogant in nature, Daman believes not even a little in love. He prefers keeping himself at a safe distance from it until he meets Muskaan Goel. Muskan is a very bubbly and a girl full of life. though her past has also a painful story to narrate but still it barely came on her face. A girl who believed in kindness, humanity and love. She was waiting for her prince to come down on a white horse with a ‘baarat’ blocking the traffic on the busy Delhi roads and take her along. But, fate had some other plans for the two. The Debut author Rayan Lee has a beautiful narration skill. the characterization of each character has put life to the ‘names’ from the novel. But, there were times when the in-depth description of situations and characters disturbs the flow of the story. Author often switches on and off from the present tract of the story that makes the reader be very attentive. Though not a complete untouched zone of the romance genre but well crafted story line, emotionally bounding and thoughtful. Has portrayed well the changing shades of any personality as per the situation demands. ‘The Fifth Season’ romance fiction novel by Rayan Lee is a story of ‘when opposites attract’ a good read for the romance fiction lovers. Though the story is not a surprise package but with Rayan’s engaging narration it makes a good read.